I knew a guy whose pipes all had little grey, rectangular tags dangling from their shanks by thin white strings, each one showing the date of the last smoke, what was smoked, and a number and letter grade reflecting an overall rating of the experience. 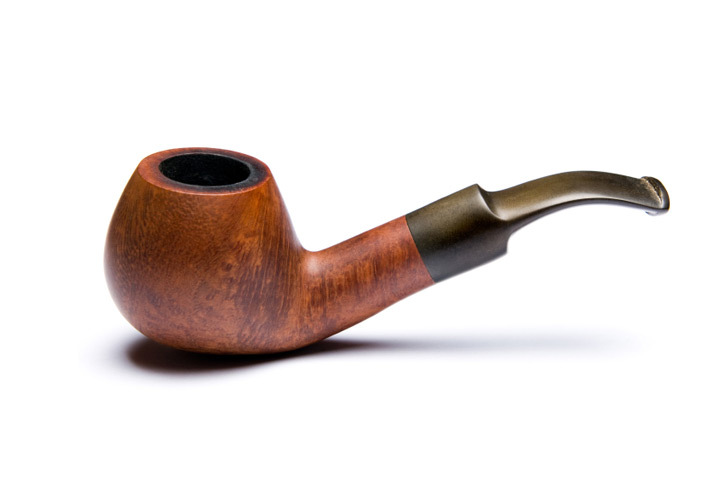 Once he’d hit upon the "right" mixture for a given pipe, it would be dedicated to that blend until either eternity’s clock stopped ticking, or the world ran out of the tobacco. There was a little notation on the hanging tags for that, too. It was a strange and almost macabre scene, like a gallery show of the tags encircling toes of the most recent unknown members of the choir invisible, having anonymously checked in at the county morgue. Something about it, too, seemed clinical and overly forensic. Dunhill LB Shell #3, laid to rest after a bowl of Stonehenge, 13 November, 2002, B+4. As I got to know this guy, I began to understand that his obsession was not so much a disorder as it was part of the deep pleasure he derived from his pipes. He kept cases of pipe cleaners of all types—bristle, fluffy, thin, long, short—cleaning his cherished briars with care after every smoke, occasionally buffing or waxing, and inspecting with lights and loupes and scopes to ensure he didn’t miss anything. It was a relaxing ritual for him, a time of respite from his otherwise harried life, and his pipes remained immaculate, pressed and starched, waiting patiently in their stands for him to call them into duty for his next pristine smoke. In contrast, there was an old fellow who predictably came into Drucquer & Sons’ every two weeks for two 8oz tins of Blue Streak at Midnight, the most syrupy, intensely sweet aromatic carried by the shop. 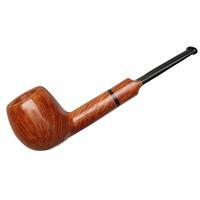 He’d arrive on schedule, clenching one of his few old pipes between his teeth, its bowl encrusted by years of tar and soot and ash that had erupted from its depths, boiling over the side like lava, giving the thing an appearance more like pumice than briar. He’d hammer the helpless thing on the cork knocker in the ashtray on the counter, the dripping dottle only reluctantly releasing its hold to fall out in a smoldering lump, and he’d run a single pipe cleaner down the length of the shank, withdraw it, and fold the now blackened thing in half, tossing it atop the souring remains of his last smoke. He’d request his two tins, ask for one to be opened, fill his bowl from the sample jar, pay for his purchase, and quietly leave. As soon as he was clear of the front door, whoever was closest would scramble to the ashtray to rid the shop of the foul mess before environmental remediation was necessary. I once offered the old guy a bundle of pipe cleaners, on the house, which he politely declined. “No, thanks. Don’t need ‘em. I just use one when I come in.” I offered him samples of other blends he might find enjoyable, but which might leave his pipes a little less distressed. He wasn’t having any. He knew what he liked, and was completely content. It seems impossible to imagine two more different pipe smokers. One, fastidious with his briars, the other indifferent. One, an explorer, sought ever new pleasures, new combinations of blend and briar that would seduce his gustatory delight, the other, having found satisfaction in a single tobacco and a few old pipes, had no desire to leave the comfort of home. Yet a single thread tied both of these men together with an un-disentaglable knot; they each enjoyed the hell out of their pipes. No matter where each of us may be along our respective trajectories, from budding tyro to masterful veteran, there are lessons to be learned from each of these guys. From one, we grasp the idea that exploration can be exciting, that finding that special synergy between a given pipe and tobacco combination is well worth the time and effort invested. There are magical moments to be experienced, and when they happen, it’s a truly wonderful thing. 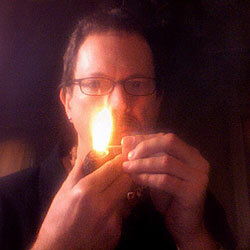 (For me, this is part of what drives me to constantly create new blends, to experiment with different pipes.) The other reminds us that there are times when the satisfaction of a comfortable smoke, one not steeped in the complications of analysis, can be its own reward. The first approach is fishing to catch something; studying the tides and temperatures, researching what’s biting and where, and being armed with an impressive regiment of flies, lures, baits and the perfect rods and reels for the job. The other approach is just a relaxing day of fishing. Pipe smoking is a mysterious thing. Superficially, it seems simple enough; fill a bowl with shredded leaves, apply some form of fire, and puff away to flavorful bliss. But, ask 100 pipe smokers about almost any aspect of pipe smoking, whether it’s tobacco selection, what makes a good pipe, vintage or contemporary, long or short, straight or bent, classic or modern, sandblast or smooth, tapered or saddle, conical or cylindrical, or how best to pack or clean a pipe, or break in a new one—even something as mundane as whether it’s best to use match or lighter—it sometimes seems that there are at least 101 answers. It gives us a lot to talk about. As a group, we do seem fascinated with discussions of minutiae, and if we look through the pipe literature of the past and present, there’s no shortage of evidence of this. For as long as there have been pipes, there have been at least as many ways to enjoy the smoking of them as there have been smokers themselves, and for many of us, those conversations are undeniably part of our pastime’s deeper pleasures. But, sometimes, perhaps, those vanishing points, as fascinating as they might be, can get in the way of the real reason we took up the pipe in the first place. More than once I’ve been told by someone wiser than I, “You’re over-thinking it. Just smoke the damn thing and enjoy it.” It’s good advice, reminding me that sometimes, it might be best to take a page from the old guy’s book and just go fishing. Whether a smoker has a rack of cobs, enjoying the steady and reliable companionship of a single favorite, readily available tobacco, or an elaborate cabinet displaying a collection of fanciful briar sculptures, taking exotic smoking journeys from a cellar filled with irreplaceable vintage tins, the pleasure found in their respective smoking is the only thing that truly matters. Indulge your pleasure, in whatever form it takes, and find equanimity in the knowledge that for others, it might be quite different. Smoke what you like. Like what you smoke. That, and not getting too mired in the details, is really all there is to it. Great read Greg. I think most of us lie somewhere between these two extremes. I tend to nanny my pipes, like the former, but only smoke a handful of blends, like the latter. For what its worth, my Blue Streak at Midnight is GLP Westminster. Really enjoyed reading this! I’m afraid I have to admit that I identify with the second pipe smoker. I have purposely surrounded myself with a number of inexpensive pipes that I could probably be content to smoke till they explode and just toss them in the garbage. 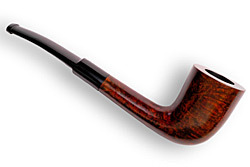 As I add some expensive pipes to my collection, I am having to learn to be more like the first smoker. I’ll tell you this though. 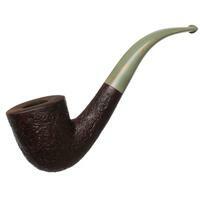 After a 16 hour day, a bowl of Carter Hall in a cob is a wonderfully relaxing thing. Doesn’t ask much from you but gives a great smoke every time. I agree, I have some decent blends in my meagre collection right now and I keep turning back to the good ole’ CH. I’m thinking its a phase right now, but who knows, maybe I’ll just be ordering a tub of CH per month for the next 30 years and be happy with it. Sure would be cheaper!! Great article, and a great summation of the fact that in the hobby there is a myriad of ways to enjoy oneself- and that’s the point- enjoy yourself. 1 pipe and 1 blend and smoke ‘er till the pipe evaporates? Why not! 7,000 pipes and a closet filled with more $ invested in baccy than Joan Rivers has in plastics? Why not! Its particularly pertinant to me right now, as I seem to be in this mode of deciding whether I’ve got x pipes devoted to x blends, or if I just have a handful of pipes I like and some tobaccos I like, and I throw them together with a little fire and enjoy myself. Also, for some people, gettting mired in the details is half the fun! Another great read from Mr. Pease. Smoke what you like. Like what you smoke. I could not agree more with this statement. This presents an amazing contrast. I, for one, am always pondering whether to ditch all of the expensive experimenting, which may be “looking for nirvana,” and settle on the three blends I’ve found that suit my taste for their flavor and room note. Nice study in contrasts - I’m much more like the first gentleman, having charted out my tobacco purchases in a spreadsheet, which I’m in the process of upgrading to a relational database… but lately, it’s been nice to just grab a pipe and a jar somewhat at random and then just sit and enjoy a bowl or two. You pretty much nailed it: to each, his own. I am not quite as obsessed, but I relish diversity and am quite eclectic, having never settled down to one or two blends or any particular pipe. I have 77 pipes and 71 different blends in my cellar, and I seem to always be chasing that next new tobacco. Thanks for the perspective, and another interesting read. I fish to catch fish and I smoke a pipe just to smoke so for me it’s keep it simple, two blends and a few pipes and get about the business of making smoke. What’s that pipe at the top of the article? that looks like something I’d like. Great read Greg, thanks. I definitely identify with the first pipe smoker. Since the beginning of my journey, I have always taken very good care of my pipes, loved a variety of tobacco, and have had many different taste changes in terms of the pipes I smoke and the blends I reach for. I search for the perfect pipe and tobacco pairing and when I find it, Nirvana is where I am taken. 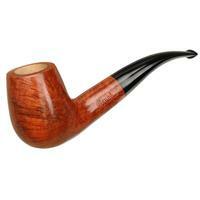 I could never mis treat one of my pipes and let it get filthy, I am just not made up that way. I normally have at least 22-25 blends open at any given time because I live for variety. I don’t remember if I have ever smoked the same blend twice in one day, and the thought of smoking the same blend year after year is definitely foreign to me. 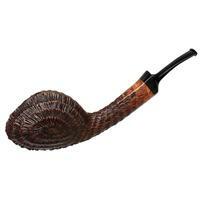 I have a neighbor 3 doors down, he smokes one Dr grabow pipe, his Captain Black Gold and he is happy as a clam. When he burns out his pipe, he buys another. He has been doing that for over 50 years. He loves his way, I love mine. This was a great read Greg. I have seen both types of pipers. I tend to lean on the clean side as I want to be able to get that best possible smoke I can. I do not keep a pipe log or tag my pipes though. That really takes dedication. I definitely enjoy trying new blends in various pipes. Though I will not be inventing my own grading system any time soon. A lot of my enjoyment from pipe smoking comes from not getting too lost in the details. That’s why I can still take an old pipe around a camp fire and if i happen to burn the rim, so be it! Nicely put Greg, wonderful read. Reminds us that as pipe smokers, there is no right or wrong way, just what’s right and works for you. From the one extreme to the other, and everywhere in between, it’s all about enjoying your pipe. Thanks for the comments, gents. We’re all somewhere along the continuum. Personally, I drift back and forth, sometimes going for the simple approach, sometimes the more involved. Either way, it’s been, and continues to be a great journey. Another fantastic post, GLP. It’s always such a treat to stop by the site and enjoy your writing. I thoroughly enjoyed this article, and the pix are top notch, as usual. There’s a part of me that takes comfort in the predictability of a regular blend — an old, reliable friend and known quantity. Yet, I am compelled by some primeval human instinct to hunt, sample, and return to the hunt. If I didn’t yield to this impulse, I’d feel I was missing something. Another great read from Greg. Not a big fan of trying new blends as you almost always end up disappointed. 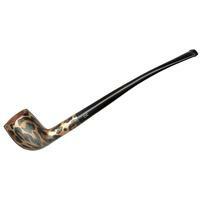 On the other hand I am not focused enough to keep track of what I smoke in a given pipe. I have Virginia pipes and English pipes but have no further distinction. Wow! I am somewhere in between. I have yet to find a blend I hate. I love flavor, food, drink,smoke. I have several pipes,mostly of my own making. I love to try new flavors. It can be hard to make up my mind on any one blend. I’m definitely more like the first guy–always trying new blends and new pipes (albeit cheap pipes). And though I enjoy the journey, one of my goals is to be like the second guy–someone who has found what he likes and sticks to it. Unfortunately, the deeper you dig into something, be it music, sports or pipe smoking, the more you see that the road never ends. Some things benefit from being “mono”–monogamy for example. But for me it looks like I’ll always be a wanderer in the pipe world. Greg I always enjoy reading your writings. I find myself in between the two gentlemen. While I enjoy trying different blends in different pipes, there are times when I just want to pack a bowl of something very familiar in an old great smoking pipe and just go fishing. Great read Greg… That is what there is to it, enjoy the little joy…!! Too little attention to the details of pipe smoking seems to create a swathe of negative backlash wherein preventable mistakes take over his pipe experience. Too much attention to the details and the pleasure is lost. I find more value in over-attention than less as whatever the arguable causality that the former finds, he at least knows what works for him. Was sitting out with my father over Thanksgiving on the porch. He had his Stanwell Zebrano, covered in tar, in a bear trap clench smoking the same 1Q he has smoked for 20 years. He puffs deep and often; no alterations, no relights, no tamps. In contrast, I have an immaculately cleaned Nording horn filled with some Sutliff No. 5. I am carefully packing, redoing it at one point, getting the prelight done. Finally it is ready and I gently hold the pipe in my hand. I notice my dad, a man of few words and many opinions, is looking at me like I am the weirdest guy on earth. “What?” is all I say. He smiles and says, “Randy, you think too much about it. Just smoke the pipe.” We sit back and enjoy the autumn weather. Two types of smokers.